TransitHub is happy to bring all of you #TransitHubbers out there the very first #TransitHubbing Adventure from Ted Blanchard, affectionately referred to by us as "The Legend of #BathurstKing". 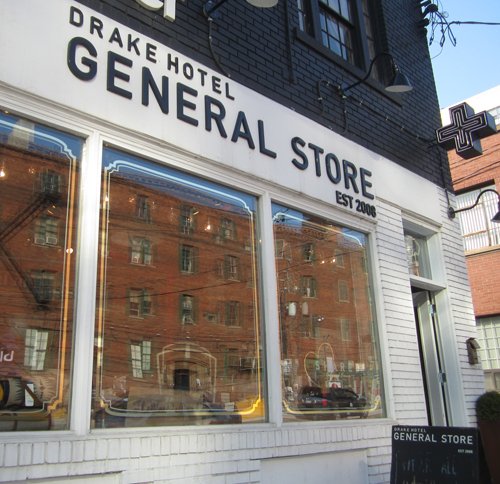 This week, Ted shares his encounter with the Drake Hotel General Store, just a few steps away from this bustling Hub. Enjoy! On a recent Sunday afternoon while tromping around King & Bathurst I was asking myself if the weather could be any nicer as I walked by Drake General Store and peered through their invitingly open door. As nice as the weather was for mid October I decided to step inside and explore. 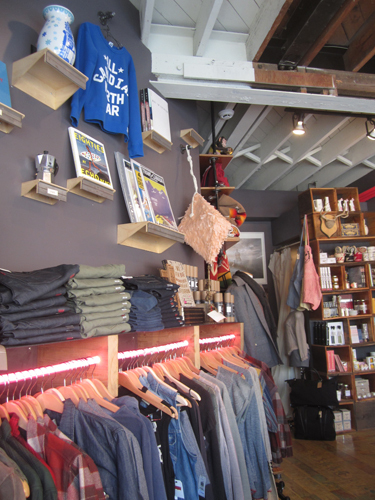 And what a cool little store it is. One of three retail stores first established in 2008, this location is the largest and opened its doors in June 2010. 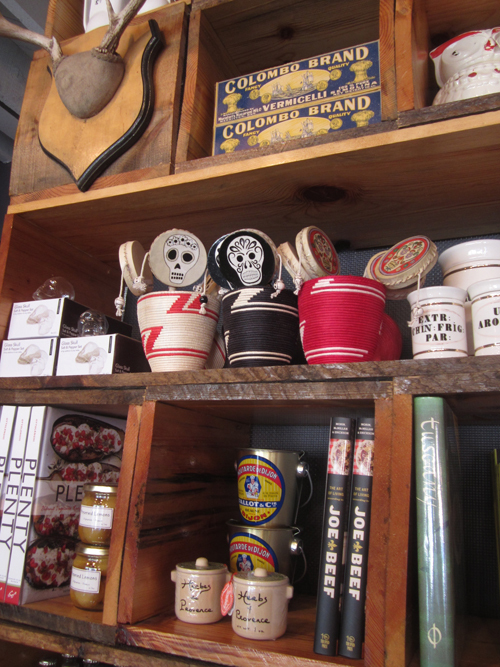 Inside, I’m greeted by an interior that mixes a rustic charm with Pop Art sensibilities. From the old wooden panels on the walls to the electric red paint on the water pipes the space is arriving at a very interesting intersection. A curious and eclectic mixture of stuff including housewares, curiosities and clothing it definitely sets the table for a feast for the eyes and a go to locale for a gift list. 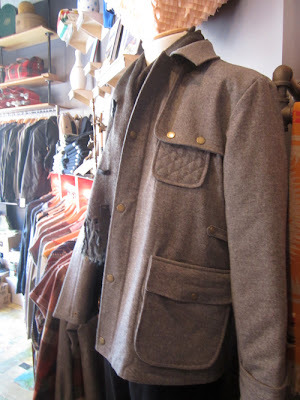 From the all white cuckoo clock to the gigantic old safe, Drake General Store serves up an inspired collection of small items and really warm and wearable’s for men and women from their Shared line of clothing. 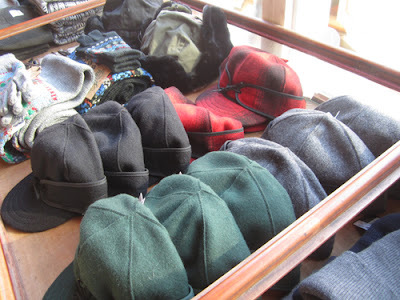 The seasonal selection of mitts, hats, thick scarves and wool sweater coats placed in and around all manner of stuff from cookbooks to fiction, preserves to canvas bags, old fashioned planet earth globes to eyewear, old road trip map books to photos of the 60's era Maple Leafs it confirms this is a store that can revisit the past, entertain the present with a refreshingly non ironic style. 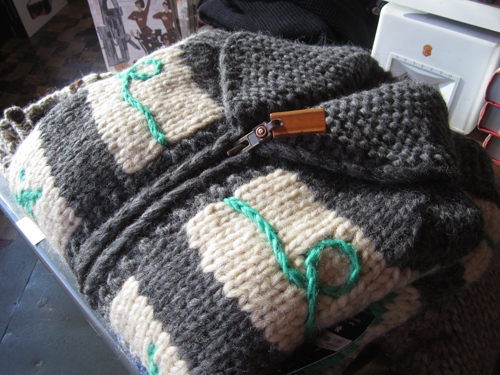 It’s a place that makes it easy to find something for a casual friend as well as someone special. And when you take your time, well that’s when this store really shines. 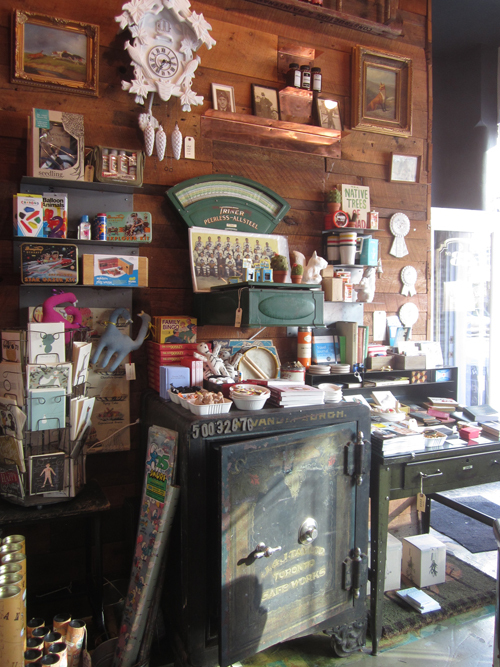 A great stop, it’s an original Canadiana cocktail served up with just the right amount of art, style and nostalgia. It's a fascinating little spot that is guaranteed to make your next transit stop at King and Bathurst one to remember. And as it gets colder I’ll be thinking of those woolly warm hats and scarves!